If you desire an order confirmation we will send it to you by e-mail. You’ll typically receive a notification upon order approval, and another on order delivery. Please note that the order delivery time will not be the exact time of delivery. Our delivery driver will enter the delivery confirmation when he returns from deliveries, which may be at the end of the day. Your complete satisfaction is our goal. If you are not satisfied with our service for any reason, feel free to contact us. We will either refund your money or redeliver a new product. The choice is yours. Refunds are returned to the payment method on your original purchase. and typically take 24 to 72 hours. We are available to help you with any issue that may come up. Please give us a call at 202-601-9004 so we may personally help resolve any issue. Your order is important to us and your flowers will always be hand delivered by our delivery drivers. 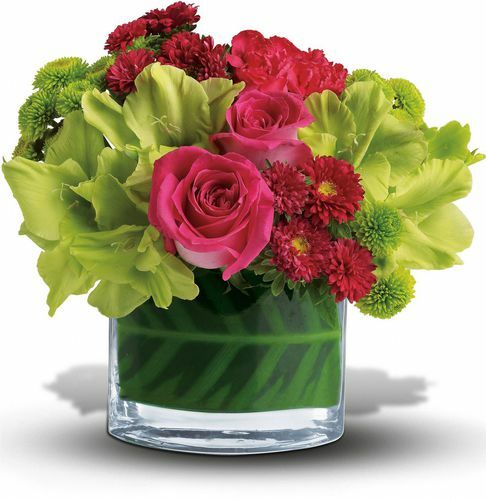 We want to thank you for ordering flowers from Abbott Florist®, your local florist. Rest assured that we will handle your order with care from start to finish. That is the difference between ordering from a national florist and ordering local from Abbott Florist®. Delivery fee will be added to each order; some delivery charges may vary depending on the zip code. We provide same-day delivery for all orders received before cutoff time of 5 PM in the recipient's time zone; contact us directly for orders pass cut off time and we will try to accommodate you. We guarantee delivery of your order prior to 5 PM for businesses, 2:30 PM for schools, 7 PM for residential, and prior to funeral service reviewing. We will make every effort to accommodate special time delivery requests.